So today I received my second Wal-Mart beauty box. If you aren’t familiar with their boxes, they are only $5 I believe and they are quarterly/seasonal rather than monthly. The price point is pretty good I feel like and that does include shipping. However much like the Winter box I’m not impressed with what I received. Being that their boxes are seasonal or quarterly (which in a sense would still be seasonal) I guess I just expected to receive new products or spring/summer items like I did with Target’s box. I just expected to be more impressed than what I was. I don’t get it. This is just a box of random crap I’ve been able to buy at Wal-Mart for years. No new brands to try or new products to try (except the Burts Bees Bb Cream sample). It to me feels like a random box of crap from the travel toiletries section of the store. Maybe I’m being too critical. I mean obviously in comparison to Target, Glossybox, Ipsy and FabFitFun I shouldn’t have expected too much. But I just feel like Wal-Mart could do so much better than this. I’m disappointed but only out $5 so not the end of the world I guess. It is cool that the box did have a sample of the Burts Bees BB Cream though. If I have to choose one positive thing I guess that would be it and I’m really reaching here. I can always use whitening toothpaste but what is special or exciting about Colgate Optic White? I’ve been using it for forever. So…thanks I guess? Also, I think what annoyed me the most was receiving a John Freida product for brunettes when I’m a blonde (albeit a fake blonde but still! Lol). I’ve always been a blonde. I don’t remember if I had to fill out a survey when I signed up where you enter your hair color and complexion. So if I didn’t then they really shouldn’t send items that are hair color specific. But if I did fill out a survey and indicated I was a blonde then it still doesn’t make sense to me why I got this. I’m just not feeling this box and think I will be cancelling any future box deliveries. It’s just not worth it to me. Am I being too critical? 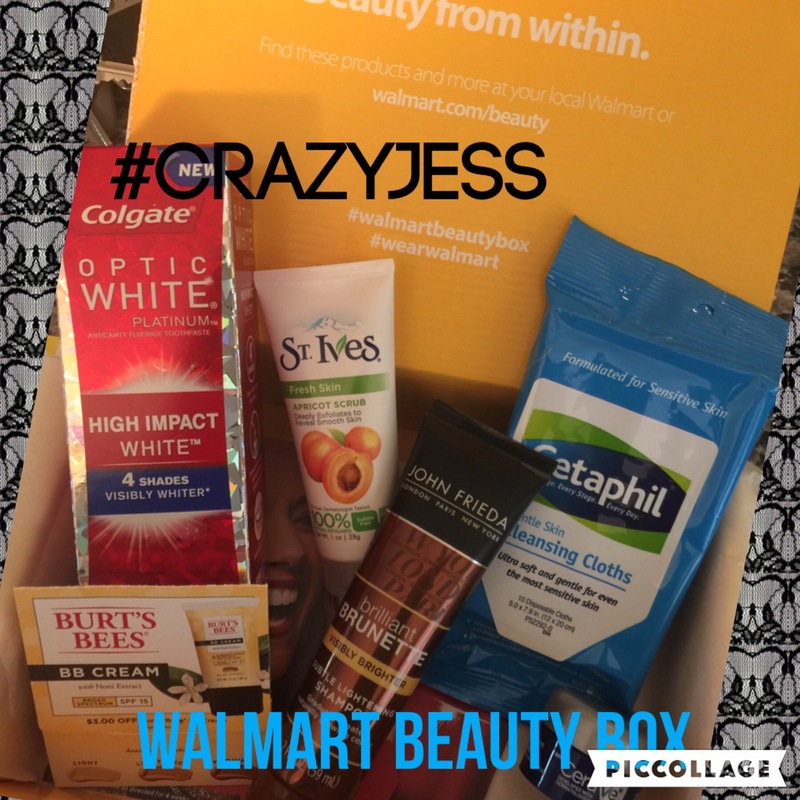 Are you a Wal-Mart Beauty Box subscriber? What did you think about your box? If you aren’t, what do you think about what I received? Would you want to pay $5 for this box?